Produktinformationen "Noveske Shooting Team Presents 3 Gun Outlaw"
Join Noveske Shooting Team members Rob Romero and Jansen Jones as they take you through advanced techniques as well as tackle some overlooked and rarely discussed issues seen in competition. Watch as important aspects on all three weapons are addresed, in depth and under match conditions. into and out of awkward shooting positions. 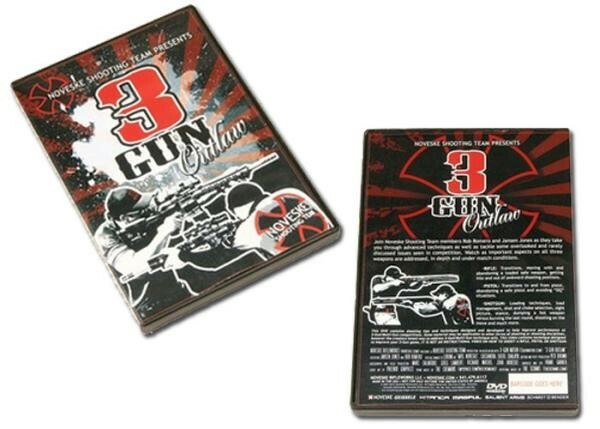 Weiterführende Links zu "Noveske Shooting Team Presents 3 Gun Outlaw"
Unser Kommentar zu "Noveske Shooting Team Presents 3 Gun Outlaw"
Kundenbewertungen für "Noveske Shooting Team Presents 3 Gun Outlaw"